We offer an array of different yoga styles to cater to and match the needs of all our yogis. Below is an overview of our practices. Click on any of the yoga styles below to jump to the description, or scroll down to read about all out classes. Vinyasa Yoga unfolded from the Ashtanga Yoga tradition founded by Shri K. Pattabhi Jois in Mysore, India. The word Vinyasa translates to "arranging something in a special way" and this form of yoga is focused on putting together sequences of Asanas (postures) in which the breath is the linking element (Ujjayi Pranayama). 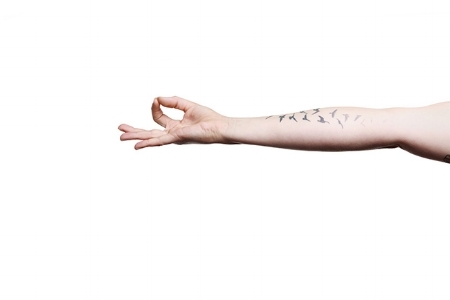 Jivamukti Yoga Open Classes encompass all levels of practice. They follow the tradition and lineage of the Jivamukti Method created by Sharon Gannon and David Life in NYC in 1989. In an open class you will work at your own pace, following your teacher’s guidance. We practice sitting, standing, and inverted postures and will suggest more challenging variations for advanced students. Tradition founded by Shri K. Pattabhi Jois in Mysore, India. The word Vinyasa translates to "arranging something in a special way" and this form of yoga is focused on putting together sequences of Asanas (postures) in which the breath is the linking element (Ujjayi Pranayama). In this class you will learn the basic foundation of Vinyasa Yoga. Each class focuses on a specific theme or group of asanas. This class is highly recommended for all absolute beginners. However we encourage yoga practitioners of all levels of experience to join this class regularly to get a deeper understanding of their body’s anatomy and devote more time to learning the techniques of asanas and main alignment. Beginners classes are specially designed for new comers to Yoga. In this class you will learn the basic foundation of Vinyasa Yoga. Each class focuses on a specific theme or group of asanas. This class is highly recommended for all absolute beginners. However we encourage yoga practitioners of all levels of experience to join this class regularly (maybe once or twice/month) to get a deeper understanding of their body's anatomy and devote more time to learning the techniques of Asanas and main alignment. Come with an open mind and remember we are all constantly learning. You will discover something new in each class that you didn't know was existing within you. Book your class here. If you like joyful intensity, this class is for you. A 60 min. or 90 min. yoga session of flowy yoga asana sequences to stretch, strengthen, detox and –more important– feel and enjoy your body, topped with the happy ending of a good Savasana (deep relaxation). This class will leave you the honey endorphin gifts of a good yoga session, a lighter body, stamina and a vibrant push-refresh-button-like mind for the rest of the day. Prenatal Yoga classes are specially designed for women to prepare physically and mentally for birth during pregnancy. The ability to create human life is a sacred gift specially given to women. This yoga class will connect you deeper to the power of new life and the female creative energy. You will therefore experience pregnancy as something more than simply feeling nauseous, dizzy, having a backache and feeling unhappy with your body. You will also strengthen your body and prepare it for a joyful and relaxed birth. Looking for a fun and healthy bonding experience as a new mom? Bring your baby to Postnatal Yoga classes, designed to support the mother's post pregnancy body 6-weeks or more after birth. Yoga asanas (postures) as selected to focus on areas like the abdominal & pelvic floor and the neck & shoulders. Some postures will involve your child while others are specifically targeted at helping mothers recharge & rejuvenate during this special time. Twist and play with your little yogi! Whether you are looking for a fun way to bond with your child, to tap into your toddler’s imagination, or to give your child tools for finding focus and confidence, this class is a great way to bring yoga into your family’s life. During this class you will enjoy individual and group yoga poses, creative breathing exercises and relaxing connection time. Family Yoga is child-centered (for ages 2 to 6 years) and offered in English. Get playful with your child while practicing solo & partner yoga, flying postures, acrobatics and a bit of therapeutics & massage. Acro Yoga teaches communication, trust and encourages bonding while being creatively challenged and having a lot of fun. Please check the schedule for the next offering or email Emily (kids@byoga.ch) to get more information. Family Acro Yoga is child-centered (for ages 5 to 9 years) and offered in English. 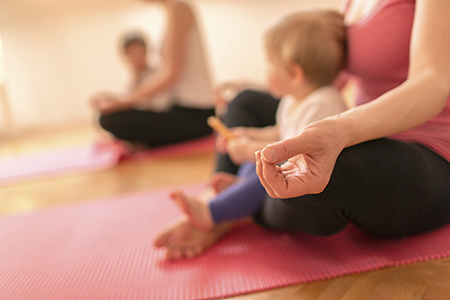 Get your little one started on their yoga journey! Physical play joins creativity in this class attended by toddlers (for ages 2 to 4 years) and their parent or caregiver. Through animal poses, songs, stories and games we will slither and fly into new yoga worlds together. Toddlers will tap into a healthy outlet for boundless energy, newfound physical capabilities, and their colorful imagination. Parents & caregivers: bring your laughter and be prepared to get a little silly. Toddler yoga is child-centered and offered in English. Yin yoga is an intimate, simple and mindful yoga practice, which teaches you to be more kind and patient with your body. Unlike the more dynamic forms of Yoga, in Yin yoga there’s no perfect alignment, no right or wrong. 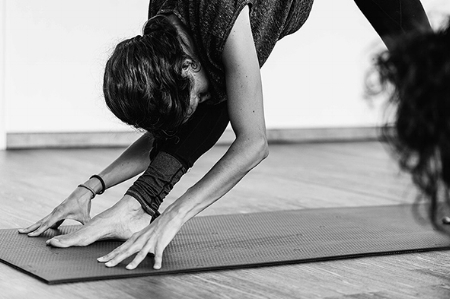 Due to the long duration of each pose we learn to let go, to soften and surrender – a practice, which we struggle with in our rather Yang and performance-oriented life. Kundalini Yoga produces results 16 times faster than ordinary Yoga and is the original and most powerful of the twenty two schools of yoga, all of which are beneficial. The Yoga Sutras say that what you can achieve in 12 years of Hatha Yoga, plus 6 years of Raj Yoga, plus 3 years of Mantra Yoga, plus 1 year of Laya Yoga can be accomplished in a single year of perfectly practised Kundalini Yoga. It is therefore known as the fastest form of Yoga practise and personal development. The word „kundalini“ means awareness and hidden potential of that awareness; it is the greatness of what we are capable. Practising Kundalini Yoga brings us back in touch with our three folded nature: body, mind and spirit. Kundalini Yoga incorporates gentle stretching as well as energetic aerobic workout with breath coordination. All yoga sets are designed to work on specific body systems, such as the musculoskeletal, cardiovascular, endocrine or reproductive system. It provides happiness by balancing the glandular system, strengthening the nervous system, and enabling us to tap into the energy of the mind and the emotions, so we can be in control of ourselves, rather than being controlled by our thougths and feelings. Kundalini Yoga promotes better functioning of our bodily systems, increases our radiance and the impact we have on others, promotes emotional balance and enhances intuition, helps to eliminate negative habit patterns, and promotes a sense of relaxation, well being and centeredness as well as reducing stress effectively. The benefits therefore impact all aspects of our physical, mental and spiritual being. Book your class here.